These are a few pictures taken on our Ethiopia trip. 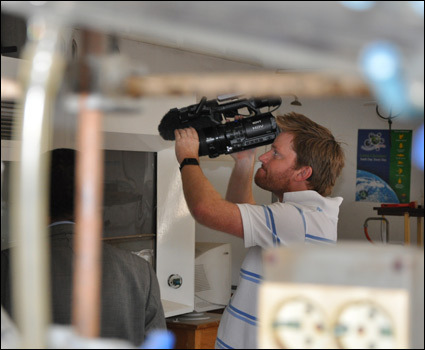 Video journalist Brady Haran joined Dr Pete Licence for a week in Addis Ababa to make a series of films. Most of them will appear both here on Test Tube and on our sister site, www.periodicvideos.com depending on what they're about. Brady also filmed various reports for the BBC on a range of topics.